L.C. 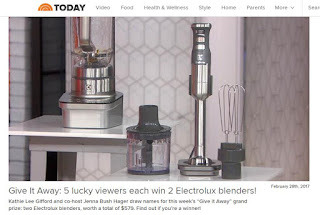 Williams & Associates: Electrolux Brings Counter Couture to "Today"
This week, nearly 2 million “Today” Show viewers learned how they could become Michelin-worthy chefs in the comfort of their own kitchens with client Electrolux’s Masterpiece Blender and Masterpiece Immersion Blender. Host Kathie Lee and guest-host Jenna Bush Hager promoted the products’ innovative features and sleek designs as part of the recurring “Give It Away” segment, on which Electrolux was previously featured with its Masterpiece Food Processor. 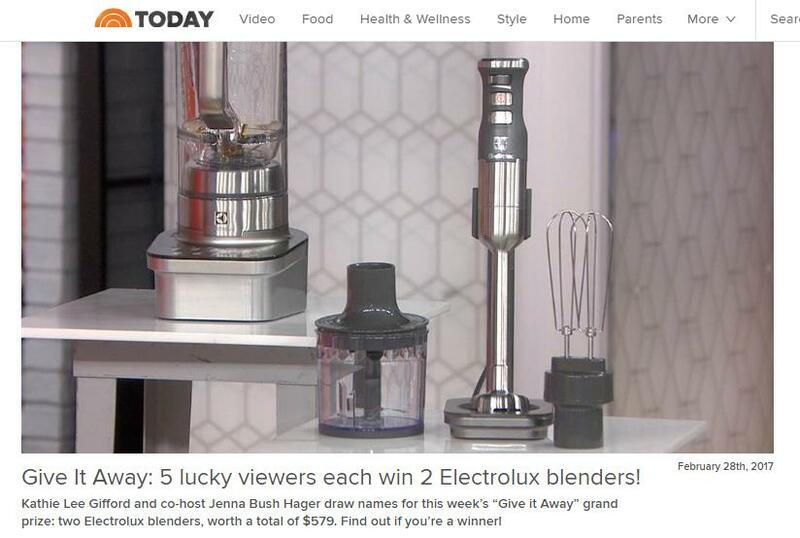 Five lucky “Today” viewers were selected to each receive both of these premium products to help them create masterpieces in their own kitchen, with help from Electrolux’s exclusive, chef-inspired PowerTilt and TrueFlow Pro technologies. Talk about delicious winnings! Stay tuned for more exciting innovations in small home appliances from Electrolux in 2017.